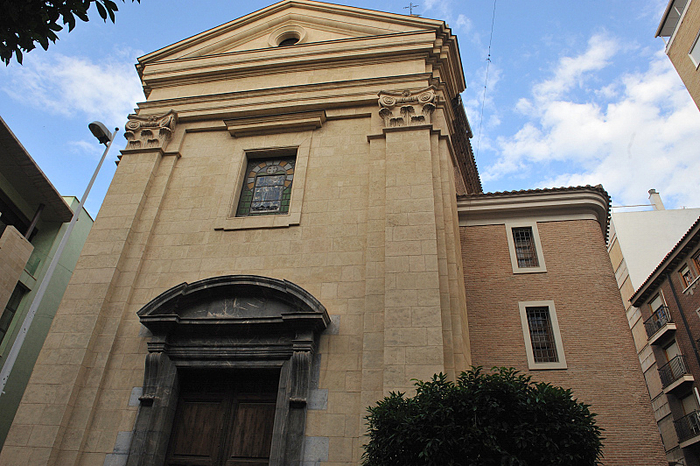 The church of La Merced, which is on Calle Santo Cristo on the northern side of the Plaza Beato Andrés Imbernón, next to the university campus of La Merced, is one of the historic places of worship in the parish of San Lorenzo, and is under the charge of the Franciscan monks who live in the monastery which is part of the same set of buildings. 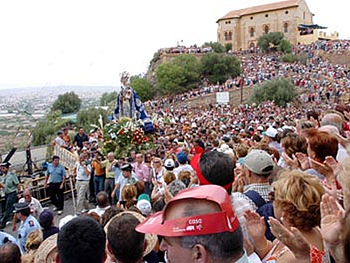 The history of the monastic Orden de la Merced (Order of the Blessed Virgin Mary of Mercy) goes back to 1218, when it was founded by Raimundo de Peñafort and San Pedro Nolasco, and in Murcia the Order was established as early as 1266, when the process of the Reconquista ended with the arrival of the troops of Jaime I of Aragón in the city. 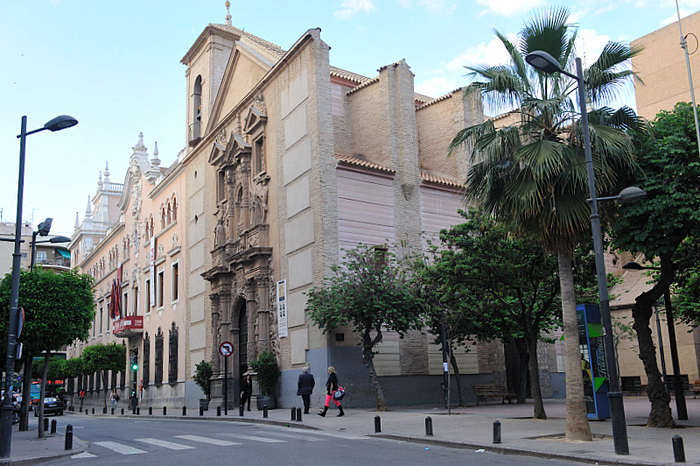 At first the monks were located near the church of Santa Eulalia alongside the Trinitarian Order, but in 1560 they moved to the site near the city gate known as Puerta Nueva, which still gives its name to the continuation of Calle Santo Cristo and the Plaza next to the school of Jesús María. 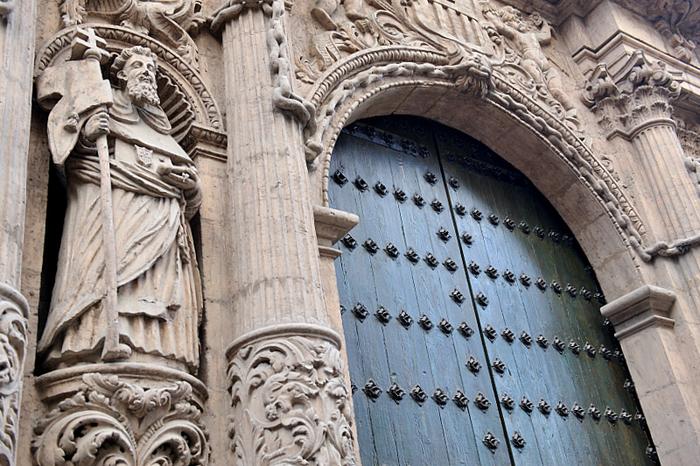 The oldest remaining part of the Convento de la Merced, which was completed in 1562, is the 16th-century Sacristy, and not much younger is the Renaissance cloister which is now part of the University of Murcia. This was designed between 1598 and 1604 and is normally attributed to Pedro Monte de Isla, whose plans were converted into reality between 1604 and 1629. Originally the idea had been to create the cloister out of marble, but economic hardship meant that in the end cheaper stone had to be used by craftsmen such as Pedro Milanés, Damián Pla and Bartolomé Sánchez. The two floors are built in the style favoured at the time in Tuscany, and at the top of the arches are heraldic decorative elements. The whole structure creates a spacious feel to the cloister, and around it are various galleries with vaulted roofs. The cloister still forms part of the daily life of the university and is used for atmospheric concerts as part of the cultural offering of the city. The church which stands alongside the cloister dates from the same period, with work known to have started on its construction in 1562, although much of the structure we see today was built during the extension of the building in the early 18th century. By 1705 part of the original church was in danger of collapsing so re-modelling was necessary, and this has resulted in the Iglesia de la Merced showing a curious mix of Renaissance and baroque characteristics. Exact details of the construction work in the 18th century have not been found, but an inscription over one of the windows records that in 1713 a new façade was added. It is not clear to what extent (if any) the church was affected by two fires which broke out in the monastery around this time, but it may be that even more reconstruction was necessary than had originally been planned. On the right hand side of the church is a large raised shrine, but the most important element is the altar-screen in the chancel which was constructed between 1744 and 1760 by Jaime Bort, whose best known work is the main façade of Murcia cathedral. The decorative plaster and stone work is attributed to José Balaguer, who is also responsible for similar features in the church of the Monasterio de los Jerónimos in Guadalupe de Maciascoque, just outside the city of Murcia. A second altar-screen showing St Francis of Assisi embracing Christ dates from 1725, and was originally installed in the Iglesia de San Miguel. 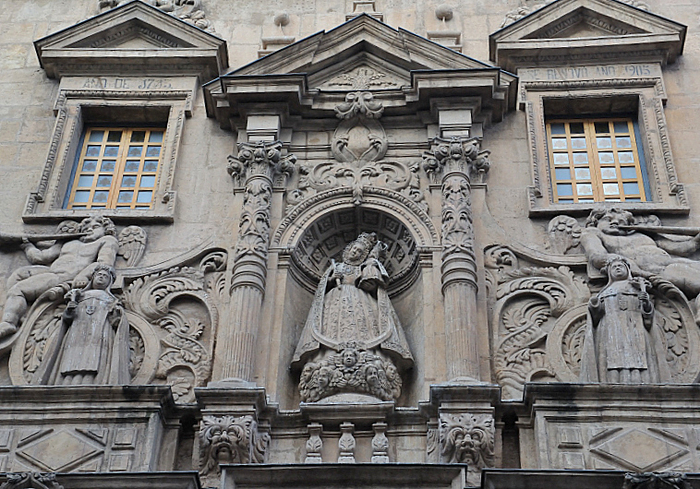 The façade, which was designed by Salvador de la Mora and made by José Balaguer, dates from 1713 and is a continuation of the decorative naturalism which characterizes the interior decoration. It is known that the shape of the triumphal arch was borrowed from the original Renaissance structure, but the decoration which surrounds it is typical of the baroque age in which this frontispiece was sculpted. A bizarre legend is said to have grown up surrounding the figure of the Virgin Mary which is at the centre of the decoration: this concerns a man who asked for the hand of his loved one in marriage before going off to war, but failed to keep his promise when he returned. 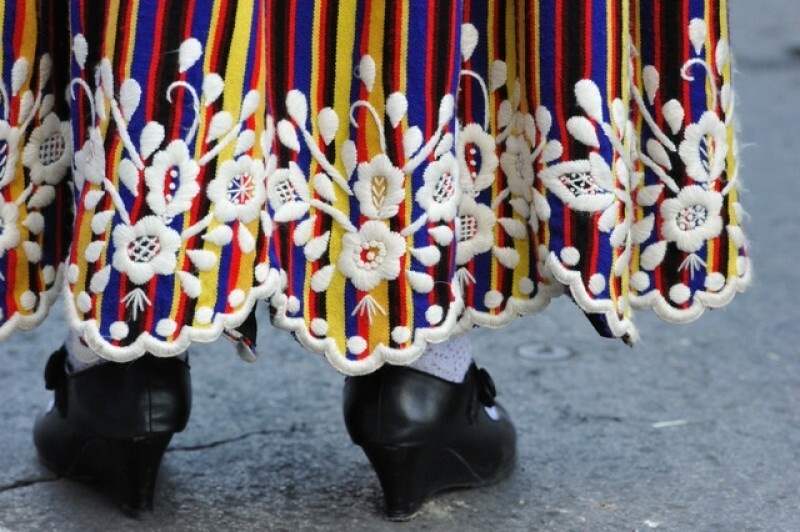 He denied ever having made this commitment, and the young lady took him to the church of La Merced where he originally declared his love for her. When he denied it the Virgin Mary shook her head to indicate that he was lying, and she has stayed in the same posture which we can see today, facing slightly to the side rather than straight ahead. The early years of the 19th century were turbulent for both the Order and the building they occupied. Two fires swept through the complex and on 15th August 1835 the monks were evicted from the premises as part of the secularization process which took place throughout Spain. 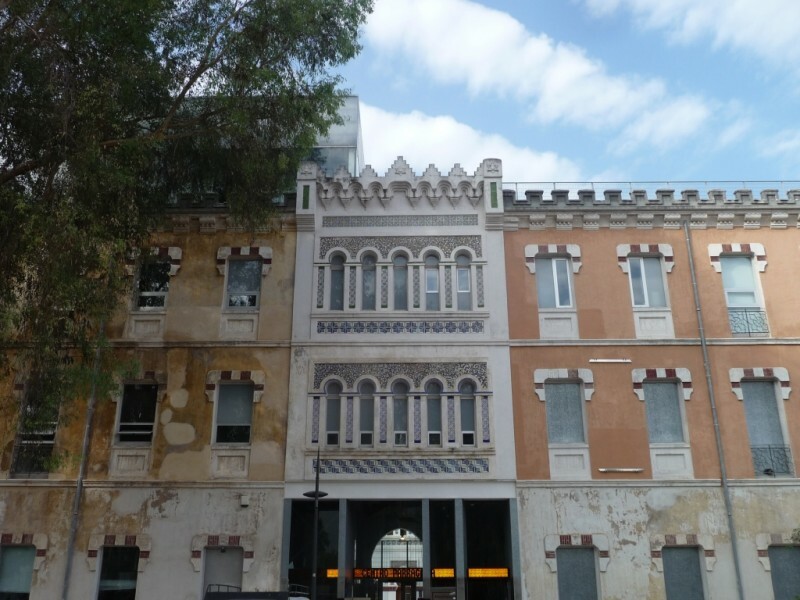 The complex was acquired by Miguel Andrés Starico, whose family sold it to Mariano Girada in 1871, and the new owner turned it into a silk factory – silk was one of the most typical products of Murcia until the 20th century – before it was occupied by the Maristas brotherhood. 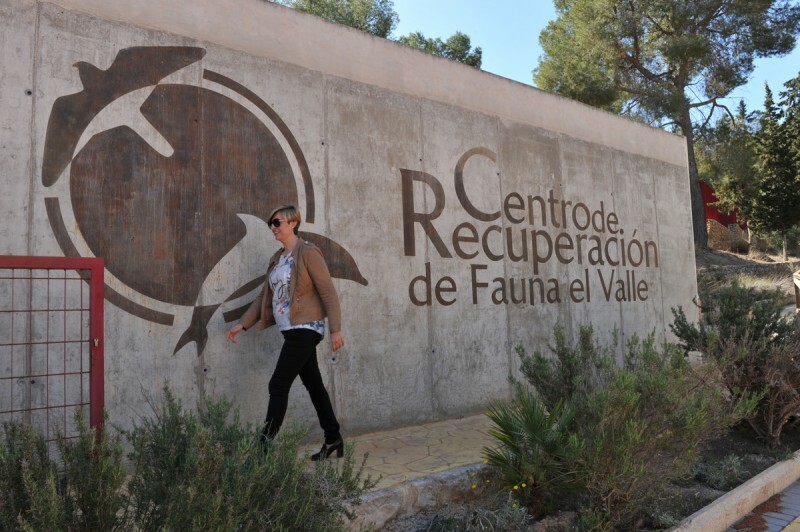 In 1935 most of the complex passed into the ownership of the University of Murcia and the Faculty of Law was established here. The cloister was one of the few elements to survive the modifications made after the Civil War, when the convent was used as a hospital, in order to make La Merced a centre of learning. Among the religious works of art inside the church of La Merced is the figure of San Ramón Nonato which is now thought to be the work of Nicolás Salzillo, who resided in Murcia from 1695 until his death in 1727 and was the father of Murcia’s best known sculptor, Francisco Salzillo. In the past scholars have attributed the figure to Francisco Salzillo or to Nicolás de Bussy, but details such as the way in which his hands are sculpted have led experts to conclude that Nicolás Salzillo is in fact the author, and that he was strongly influenced by de Bussy in the early part of this career. The saint depicted was prevented from preaching the gospel, and is represented with holes in his lips as a symbol of the attempts to close his mouth with a padlock. 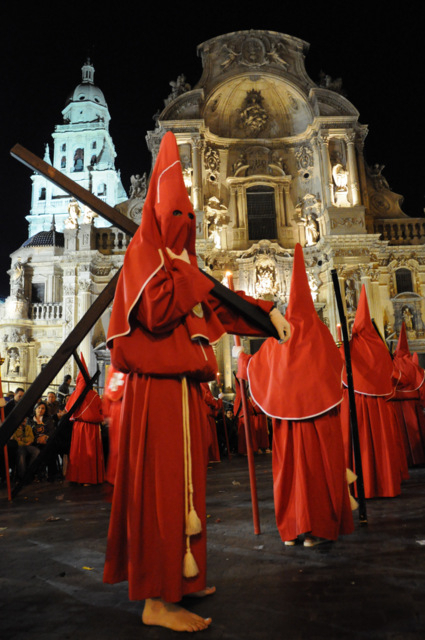 The elder Salzillo is also believed to have been responsible for the Nazarene which is featured in the procession on the Tuesday of Easter Week through the streets of the centre of Murcia. 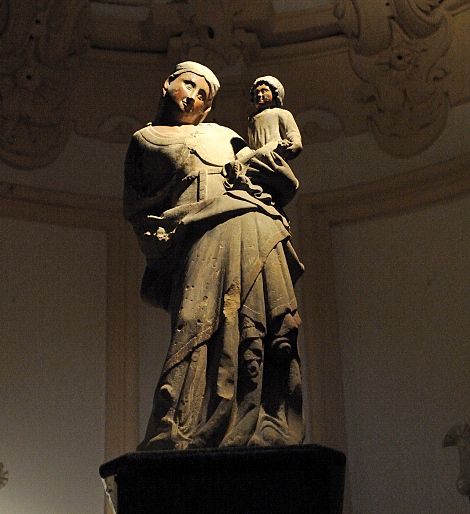 The 122-centimetre-high painted sculpture of Nuestra Señora de los Remedios, known by some as “Nuestra Señora del Cuello Tuerto” (Our Lady of the Twisted Neck) as a result of the rather contorted posture of the Virgin as she holds her child in the crook of her left arm. The style of this sculpture is reminiscent of that of the late 15th century, but it has been dated to the 16th. 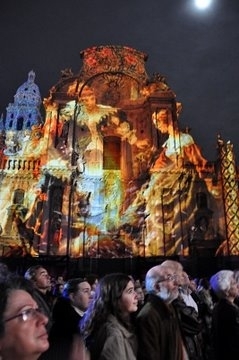 The figure of the Virgin originally occupied the Capilla de los Androrillas chapel, which now features a 17th-century painting showing the discovery of the figure in the outskirts of the city of Murcia. This painting, which is by Senén Vila, was the subject of great devotion among the Murcianos in the past, and has been paraded alongside the Virgen de la Arrixaca on more than one occasion. The painting of San Pedro Nolasco, the co-founder of the Order of La Merced is by Lorenzo Suárez (1600-1648), and shows the moment when he is reputed to have been carried by angels to Mass. Other figures featured among the works of art in the Iglesia de la Merced include Santa María Cervelló and the Beata Mariana de Jesús. The church is usually open for those who wish to worship and regular services are held. There is parking nearby beneath the Plaza Europa and plenty of good shops and restaurants in this busy university quarter of the city.